In December last year, Ofo’s CEO Mr Dai Wei issued a letter to his employees revealing that the firm was facing “immense” cash-flow problems. “The whole of this year, we’ve borne immense cash-flow pressures — returning deposits to users, paying debts to suppliers, and keeping operations running,” he wrote. According to reports, close to 12 million customers in China are demanding refunds of their deposits, and Mr Dai was put on a Chinese government blacklist for defaulting on debts. The total amount of money owed to vendors stands at over $700,000, it added. Meanwhile, Ofo employees in the Singapore office are also “owed thousands of dollars in unpaid transport and mobile phone claims“, which has been remain unpaid for over six months. As Ofo fell into a spiralling debt, the Alibaba Group-backed firm also mysteriously vacated its Singapore office at AXA Tower in end November 2018, a month before its lease expires. Its whereabouts after the move remain unknown, but TODAY revealed yesterday that the firm has sacked all of its operations team here. Early this week, Ofo Singapore’s acting general manager Jack Zhou called about nine or 10 employees, informing them that their last day of work would be on January 31. He did not provide any reason for the termination, nor were the affected employees offered a one-month compensation they were due to receive, as stipulated in their employment contract. However, they will still receive their salary for the month of January. “There was no specific details given to us, no actual notice. I’m a Chinese, and Chinese New Year is so near [so] I’m not happy about it,” an anonymous Ofo employee told TODAY. He is also unhappy about the fact that the company is not paying them compensation, especially since the termination came without warning. However, he implied that he somewhat saw this coming as the news surrounding Ofo has been “very negative … for the past two months”. “It’s time to just leave, no point holding on. I don’t see any progression… Even if I don’t agree to it, I don’t know whether there is anything for us to do, or if we will be paid in February,” he added. Another Ofo staff also told TODAY that he chose to simply “move on”, although he thinks that the lack of compensation is “unfair”. One of Ofo’s creditors, logistics company SB Express, also seem pessimistic about the whole Ofo situation. The firm’s managing director is prepared to not get back the money owed to them, which sums up to $600,000. “We have to move forward. The earth is still spinning. Hopefully, no other company will be hurt like [us] again,” he said. 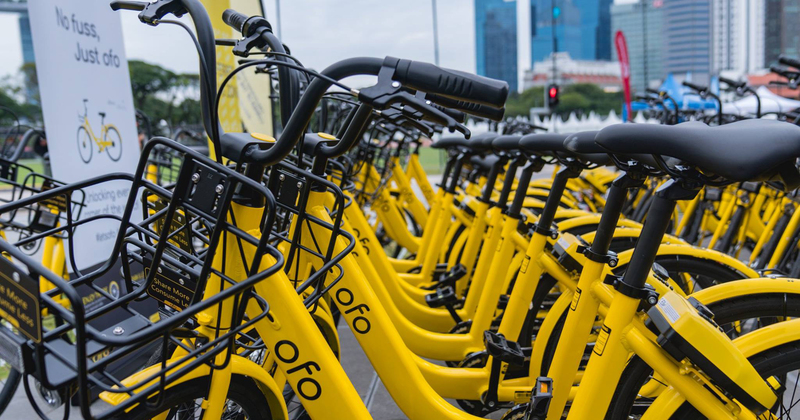 While it’s not clear if Ofo is exiting the Singapore market, the Land Transport Authority (LTA) said that it has not received notice from Ofo to renounce its licence. Two weeks ago, LTA has issued a warning to the firm to downsize its fleet to the maximum size of 10,000 and set up a QR code parking system by February 13 as part of regulatory requirements. Failure to comply to these requirements can result in the suspension of licence, and LTA is currently in contact with the company.